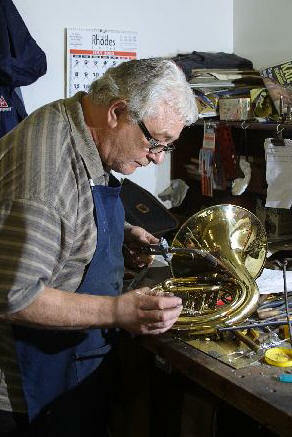 McQueens - Musical Instrument Repair Specialists. McQueens Repair Service is Second to None !!! 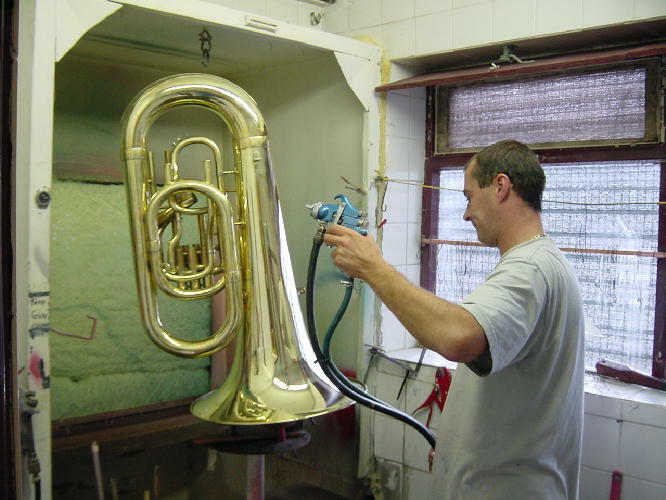 We are able to make this claim because nowhere else within the Uk will you find a Workshop specifically designed for the Repair and Restoration Brass Band Instruments on the scale of McQueens. 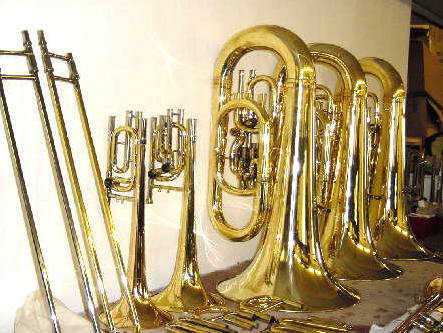 We have our own complete Silver Plating Plant and fully equipped Lacquer Room where our Cellulose Lacquer is Baked on to obtain a highly durable finish. 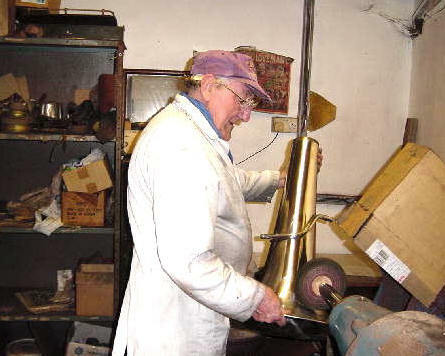 Our 5 Highly Skilled Craftsmen have over 200 years of experience within this Trade. 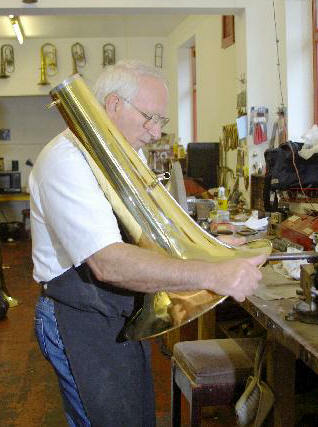 You can rest assured your Precious Instrument is in very safe and capable hands. 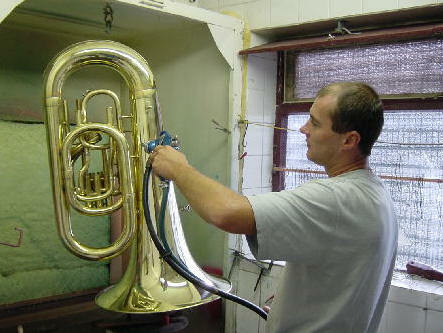 No task is too Large or too Small for us. 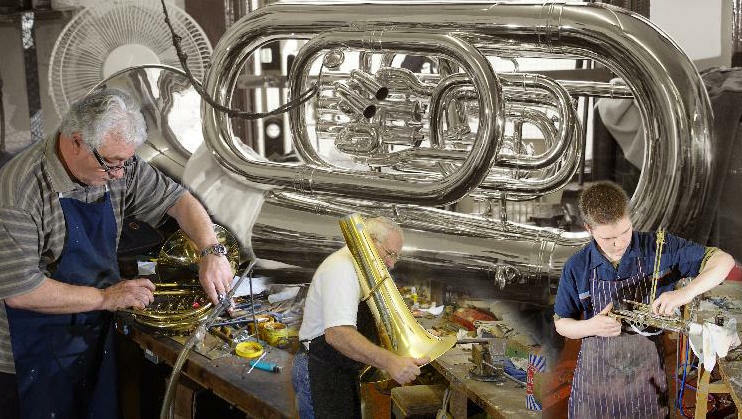 Whether you require a Water Cork Replacing or a Complete Restoration & Silver Plate or Lacquer to a BBb Bass, McQueens are only too happy to oblige. 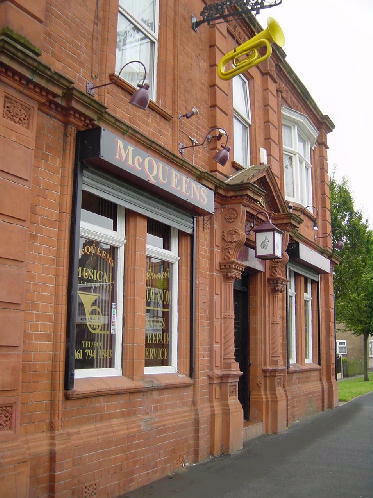 McQueens offer a Nationwide Collection & Delivery Service. Simply complete the Form on the 'Contact Us' Link and leave the rest to us !! Send mail to rick@mcqueens.com with questions or comments about this web site.